Thank you for visiting the Camden Civil Rights Project page on Civil Rights & Liberties. Our archives section contains a variety of informative print, audio and video materials on the evolving concept of civil liberties in America. The section attempts to educate individuals on new challenges in civil rights litigation and promote pragmatic strategies for combating the erosion of our civil liberties. Archived articles can be accessed by clicking on the links below. Please feel free to use the comment section to recommend materials and resources you believe will aid in creating a better understanding of the growing legal challenges in protecting our fundamental constitutional rights. 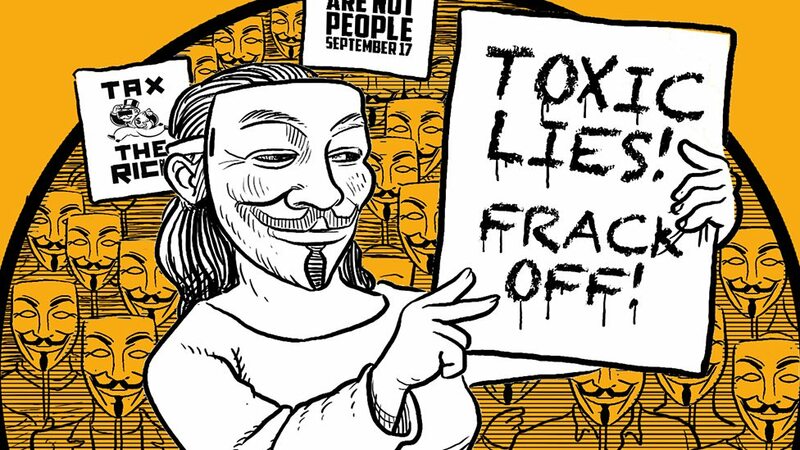 The Minerva Initiative: Are Student Activists Being Targeted by U.S. Universities? 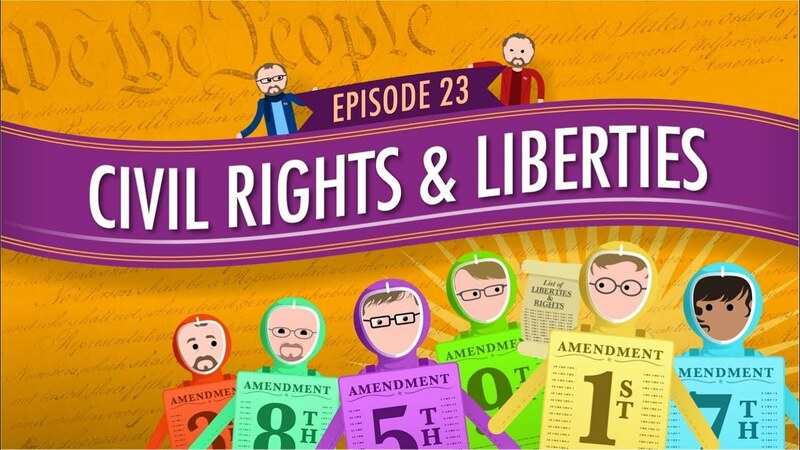 This video short provides a general overview of civil rights and civil liberties. These terms are often used interchangeably, but they are actually very different. The legal area known as civil rights has traditionally revolved around the basic right to be free from unequal treatment based on certain protected characteristics (race, gender, disability, etc.) in settings such as employment and housing. Civil liberties concern basic rights and freedoms that are guaranteed — either explicitly identified in the Bill of Rights and the Constitution, or interpreted through the years by courts and lawmakers. Our civil liberties, contained in the Bill of Rights, once only protected us from encroachment by the federal government, but have gradually been incorporated through the Fourteenth Amendment to protect us from the states. The video includes a brief summary of the major supreme court decisions that have brought us to this point. 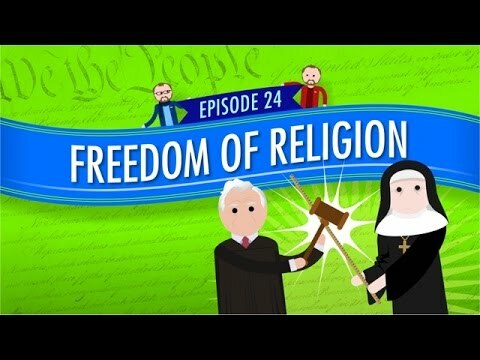 This video short provides a general overview of the First Amendment and the freedom of religion. It examines some significant Supreme Court decisions and discusses how they’ve affected our interpretations of the law with respect to issues like animal sacrifice and prayer in schools. As you’ll see, there aren’t always clearly defined, or bright-line rules in approaching these legal questions. Sometimes tests have to be developed to account for the ever-changing nature of the law and it’s applications. 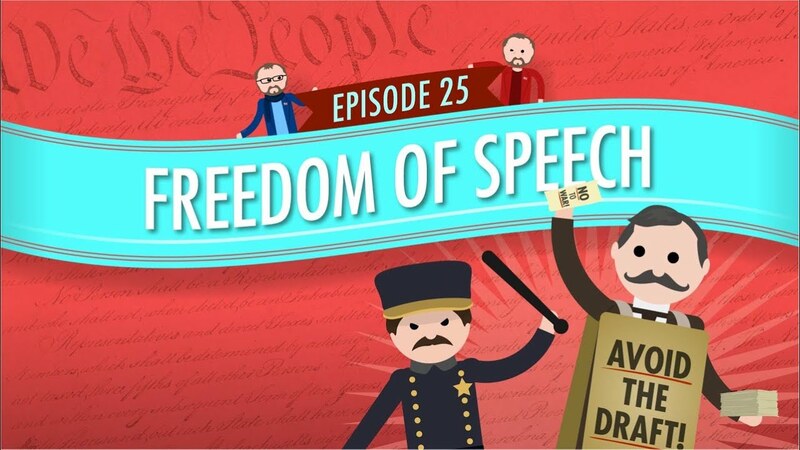 This video short provides a general overview of your First Amendment right to free speech. Theoretically, this right allows you to critique the government without fear of retaliation. But it’s essential to remember that not ALL speech is protected equally under the First Amendment, and the protection only applies to infringement by the government. Therefore, the right to free speech generally doesn’t protect you against a private employer firing you for something you say (unless you work for the government and then things get a bit more complicated). Discussed are the seminal Supreme Court cases which have defined what constitutes protected speech, and some of the more controversial aspects of free speech – such as hate speech. 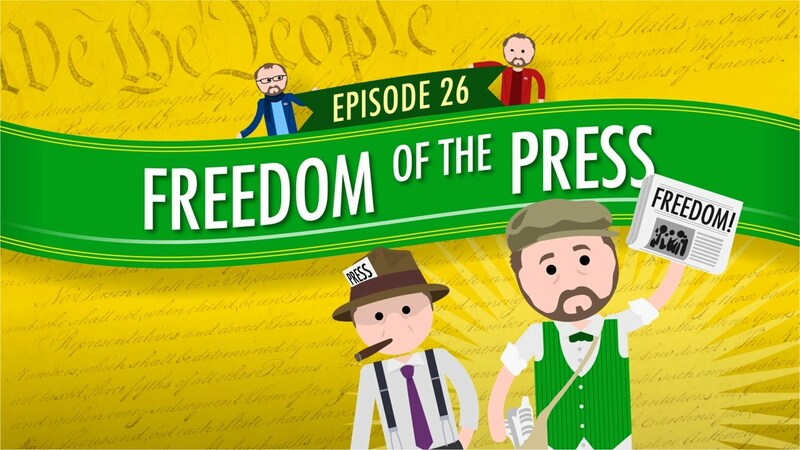 This video short provides a general overview of the First Amendment’s freedom of the press. Like an individual’s right to free speech, the press has a right, and arguably an ethical responsibility, to tell the public what the government is doing. But there are some complications in doing so, such as if that information will compromise national security or wrongfully discredit an individual. When considering Edward Snowden’s NSA disclosures or Julian Assange’s Wikileaks, it’s just as important as ever to understand the role of the press in informing the public, as well as well as our role as citizens in staying informed. 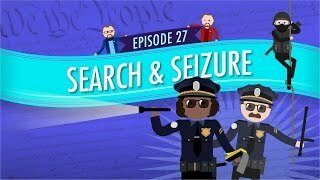 This video short provides a general overview of the Fourth Amendment right against unreasonable search and seizures. The police generally need to secure a warrant issued by a judge based on proof of probable cause to search your home, but this isn’t always the case. Exceptions exist for exigent circumstances, such as the reasonable suspicion that a crime is in progress or that evidence is in danger of being destroyed. Also discussed are the vehicle exception to warrant requirements and the limited protections enjoyed by students. An exclusive audio recording obtained by The Nation of a stop-and-frisk carried out by the New York City Police Department reveals the humiliation and degradation caused by broken windows policing strategies which are being implemented in urban areas throughout America. In the first video, The Hunted and the Hated, an audio recording of what NYPD officers describe as a typical stop-and-frisk, documents the level of degradation in these encounters as a seventeen year old is assaulted and threatened with serious bodily injury and arrest for simply asking why he is being stopped. The second video, The Targets, documents the adverse psychological impact these type of stop-and-frisks have on targeted individuals and their families in poor urban communities. This video short provides a general overview of the Fifth and Sixth Amendment’s guarantee of procedural due process to ensure a fair trial. Discussed are Miranda rights, such as, the right against self-incrimination (pleading the “fifth”) and the right to an attorney. Also discussed is the Sixth Amendment guarantee of a jury of your peers and the protection against being tried for the same crime twice (double jeopardy). 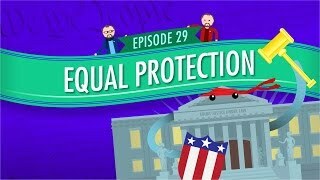 This video short provides a general overview of the Fourteenth Amendment’s equal protection clause. Discussed is the concept that the law should be applied equally to everyone and what this means in terms of our civil rights. As opposed to civil liberties, or our protections from the government, civil rights differ in that they involve how some groups or individuals are permitted to treat other groups or individuals (usually minorities) under existing laws. 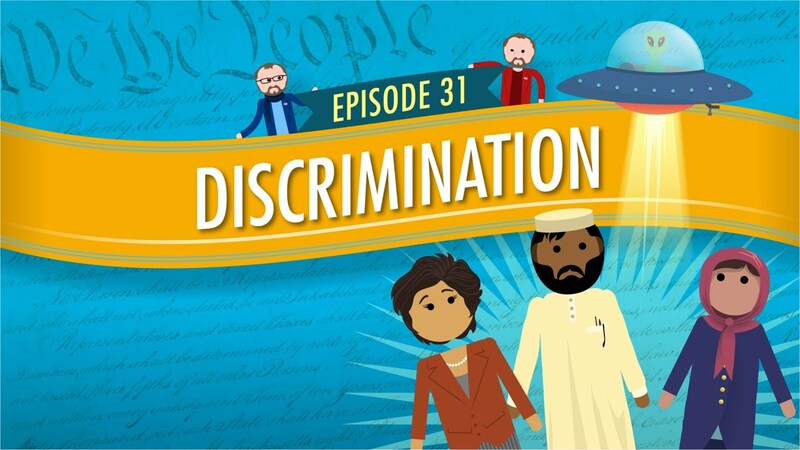 The video explains the process the Supreme Court follows in racial, ethnic and religious discrimination cases, known as “strict scrutiny,” and examines one landmark case, Brown v Board of Education, and its role in kick-starting the Civil Rights Movement of the 1960s. This video short provides a general overview of discrimination in the workplace. 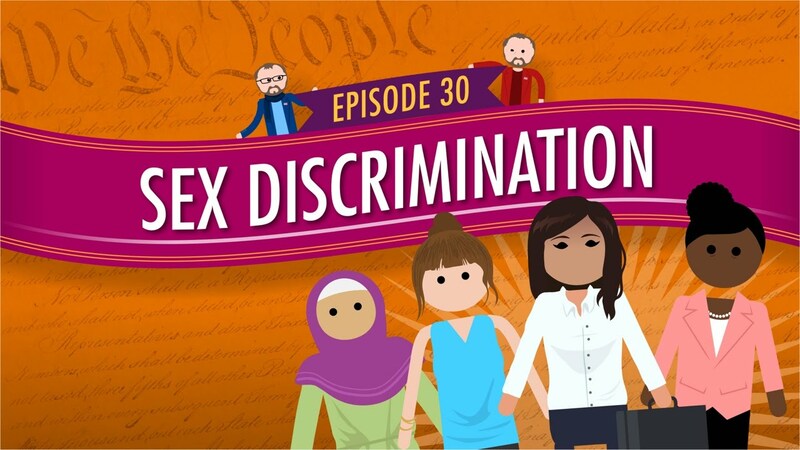 The video focuses on gender discrimination and sexual harassment claims, which are handled somewhat differently by the courts than racial or religious discrimination. In gender discrimination claims the court applies an intermediate level of scrutiny which is summarized in the video. Also discussed are disparate impact claims and how these cases are handled by the courts. Employment protections are guaranteed by federal statute, rather than the Constitution, therefore, apply in both, the private and public sectors. Modern debates about the Second Amendment focus on whether it provides an individual right to keep and bear arms, or a right that can be exercised only through militia organizations like the National Guard. This question, however, was not even raised until long after the Bill of Rights was adopted. Implicit in the debate between Federalists and Anti-Federalists were two shared assumptions. First, that the proposed new Constitution gave the federal government almost total legal authority over the army and militia. 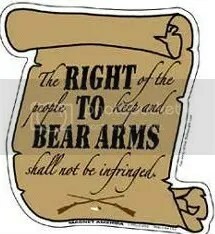 Second, that the federal government should not have any authority at all to disarm the citizenry. They disagreed only about whether an armed populace could adequately deter federal oppression. Anti-Federalists argued that the proposed Constitution would take from the states their principal means of defense against federal usurpation. The Federalists responded that fears of federal oppression were overblown, in part because the American people were armed and would be almost impossible to subdue through military force. In this one hour video, Attorney Alan Gura and Michael Waldman of the Brennan Center for Justice at NYU School of Law sit down with National Constitution Center President and CEO Jeffrey Rosen for an intelligent and informed discussion about the history of the Second Amendment and the constitutionality of gun control— from the time of our Founding Fathers through present day. A just society has fair laws. But most societies aren’t like that. So what can you do? The opponent of slavery, Henry David Thoreau, gave one answer in his essay ‘On Civil Disobedience’: follow your conscience and break the law on moral grounds rather than be a cog in an unjust system. Ghandi, Rosa Parks and Martin Luther King have all inspired generations to make changes to unjust laws through civil disobedience. Stephen Fry explains its origins.